If White House types was dismayed about the just released poll which suggests more people are confused about President Barack Obama's religious affiliation now than was true early last year, they hid it well. 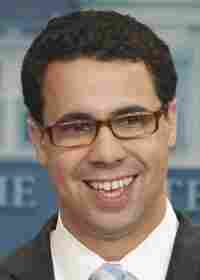 At least, White House deputy press secretary Bill Burton who was traveling with the president to Martha's Vineyard appeared unperturbed. Asked about the poll with the surprising result, Burton made a few key points. One, the president is a Christian who prays daily. Also, most average Americans are too busy worrying about economy to pay much time thinking about the president's faith. Finally, the president is likewise concerned about the economy, too busy doing what presidents can do to push the economy into a higher gear to spend much time worrying about why a significant percentage of Americans mistakenly believe he's a Muslim. REPORTER: The Pew poll came out today and there's some numbers on there that are interesting -- one showing that the number of Americans who believe that the President is Muslim has gone up, while the number of Americans who believe the President is Christian has gone down. What do you guys make of that? MR. BURTON: Well, I think you have to understand that for most Americans, they're not reading a lot in the news about what religion the President is and anything other -- what they're focused on is, you know, what you guys are focused on, which is important issues like what's happening in Iraq and Afghanistan, what's going on in the economy, what are we doing to create jobs -- all these different issues. And so the President is obviously a -- is Christian. He prays every day. He communicates with his religious advisor every single day. There's a group of pastors that he takes counsel from on a regular basis. And his faith is very important to him, but it's not something that is a topic of conversation every single day. REPORTER: So why do you think the American public has got these opinions of him that he's a Muslim and not a Christian? REPORTER: Could the White House have -- could the President speak more about his religion to counter this perception that he isn't Christian? He has talked about his faith in the past. Could the White House have him come out and talk about it more? MR. BURTON: He has spoken about his faith extensively in the past. You can bet that he'll talk about his faith again. You could always play the "would-of, could-of, should-of," but the President's top priority here isn't making sure that Americans know what a devout Christian he is, it's making sure that we're getting the economy on track and we're creating jobs in this country. REPORTER: Is it frustrating to him though that so many people have this misperception? Did he have a reaction to these poll findings, do you know? MR. BURTON: I didn't talk to him about it, so I don't know what his reaction was. But I can't imagine that he is all that focused on some poll like this. REPORTER: It suggests that the Americans -- the American people don't really know him. I mean, is that something that bothers him? MR. BURTON: I think that's extrapolating too much from one poll, one day, and one of its questions.